Tips for Creating Standout Trade Show Displays. Trade shows can be a huge part of gaining and retaining new customers for your business. After all, trade shows provide the chance to promote your business to hundreds (or even thousands) of new customers in one fell swoop. They also provide a forum for introducing new products to the market and offer the opportunity to network with like-minded companies and producers. However, trade shows typically require a large investment. You’ll have to pay for your space, buy a display, and spend the time and manpower involved in exhibiting. As such, you want to make sure that your investment pays off. The best way to make sure that trade shows will prove worthwhile for your business is to create a standout display. After all, trade shows can be hectic and crowded, so you have to be smart to make yourself stand out. Here, we’ll detail some invaluable tips that can help you create a dynamic, engaging trade show display. Catch them from the aisle. Trade shows can be crowded and busy, so it’s important to have a “draw” that will bring people in from the aisles. Perhaps this will take form as a standing retractable banner with engaging graphics or an offer of a trade-show only promotion, or maybe it will be a sealed inflatable of your mascot displayed along the periphery of your booth. Make sure to include some sort of display item which acts as an enticement for potential customers. That’s in the literal sense. Sometimes, it takes something large in scale (literally) to capture attention and to stand out in the sea of signs and display items. Depending on your company, the trade show limitations, and your personal style, there are a number of different ways that you can include large scale advertising products into your display. For instance, a large display wall featuring jumbo graphics might be the backdrop of your display, or you might employ a gigantic advertising inflatable as part of your display. Whatever you decide on, it remains a simple fact: big displays draw big amounts of customers. A reliable way to pique customer curiosity is by showcasing sales tools which they may not have seen before. 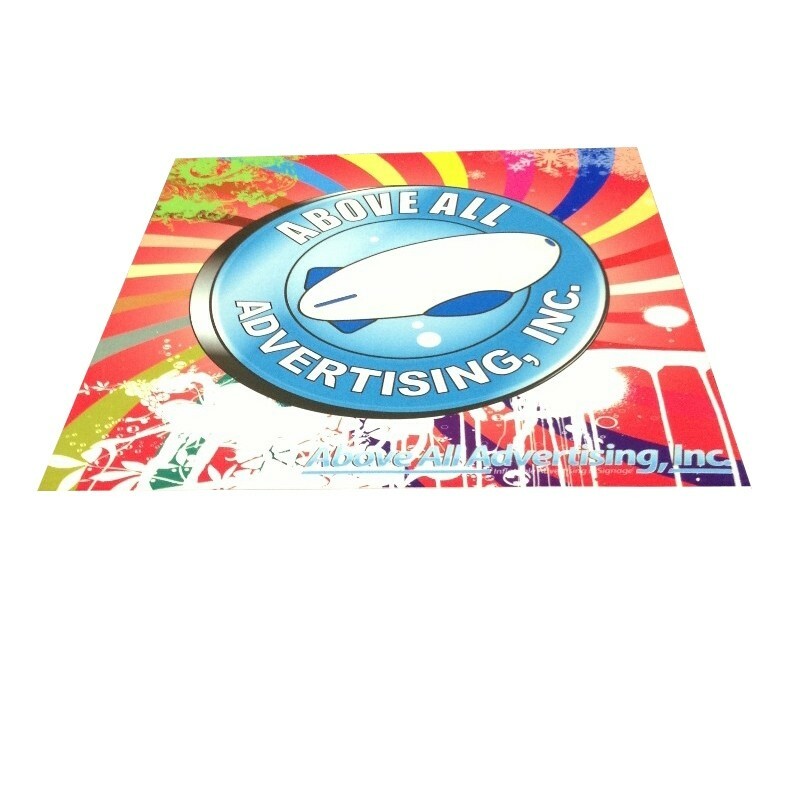 The Above All Advertising website is constantly stocked with new items, many of which can be personalized with a high level of customization that can make them a completely unique display units. Customized foam display elements, for instance, offer customers something novel and visually new to enjoy. This foam display is completely customizable and allows you to create your desired shape with malleable foam triangle blocks. Once you have achieved your desired shape, the entire assembly is easily covered with a custom dye sublimated print for vibrant exposure. These unique display elements can be constructed as large or small as desired, and are guaranteed to grab customer attention. Get them from multiple angles. Don’t just face your signs in one direction. Even if most traffic goes in one direction on the trade show floor, don’t miss out on the potential eyes that could be on your signage in the opposite direction. Be sure to have signage displayed in both directions so that whether customers are walking up or down the aisles, that they will be exposed to your branding. Don’t just lure potential customers from the outside. Make the inside of your booth just as beautiful as your various external “draws”, so that customers are really treated to beautiful signs and promotional aids once they enter. A beautiful display backdrop is vital in this regard. They can act as an additional advertising space, as well as making your booth an oasis from the hustle and bustle of the show. Many people shuffle around the show floor with their eyes bent downward while they look at their phones or a show program. Catch their down turned eyes by putting your graphics on the floor! A personalized display rug can not only provide a comfortable walking surface but can also really grab attention when people reach the point of trade show hypnosis. It will at least make them look up to see the rest of your display, which may entice them into your booth to learn more. Consider using promotional items which provide form and function in your trade show booth. Branded furniture, for example, is always a hit with customers. Spying your branded chairs in the booth might be the perfect enticement for weary show-goers who have been experiencing information overload and just want to rest for a moment. Providing such a space for respite might offer the chance you need need to deliver your sales pitch and convert them into a customer! While many associate “engaging” promotional tools with large scale events or in outdoor settings, you can still employ engaging advertising in a trade show setting. For instance, items like branded games, which involve interaction with passers-by, are always a hit. If that’s not your style, perhaps you’ll offer engagement by way of an interactive iPad sign where you offer information about your company. Giving customers a chance to engage is the first step toward bringing them into your booth and securing a sale. Trade show swag. Customers love the stuff. Everybody loves a freebie, but this one can really benefit you as a company, too. The fact is, not everyone is ready to buy at the show. 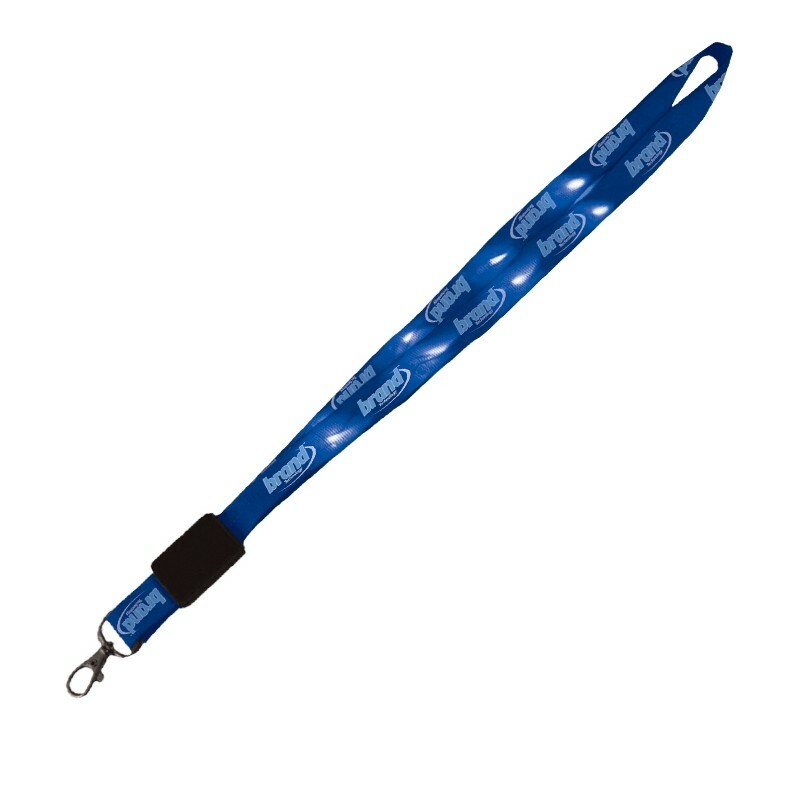 But by offering a quality swag item, even something small like a tote bag or something “cool” that is fun to play with, like an LED lanyard, you will give customers a take-away that will help them remember you after the trade show is over. This small reminder of your company and the services or products its provides can prove in handy when a potential customer finds that they are in need of relevant services. Conclusion: Trade shows can play a huge part in your company’s success (or lack thereof). Your display can help make the show worth your while, so it’s well worth taking the time to consider and plan out the perfect display. By considering these tips for making a standout display, you’ll have plenty to consider and dream about when browsing the Above All Advertising website to fulfill all of your trade show needs! How effective is your trade show display?